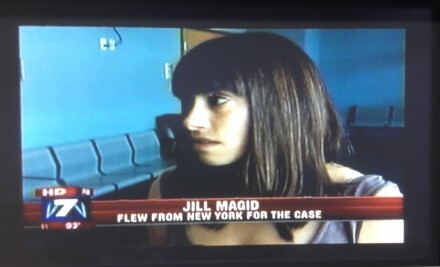 Jill Magid, Still from The Capitol Shooter: Breaking News (2011). In her first solo exhibition in Los Angeles, New York-based artist Jill Magid presents a dramatic-script-turned-multimedia-installtion in her Failed States. 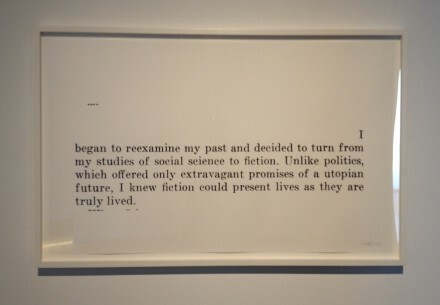 Drawing on the experimental narrative of her recent book (also titled Failed States), Magid inverts the oft-cited feminist phrase “the personal is political” to explore how the political might be made personal, or, how that which seems far away might be brought closer to our bodies and our experiences. 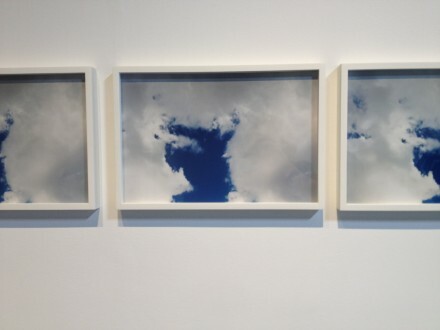 Jill Magid, Failed States installation view (2012). All images courtesy of Megan Hoetger for Art Observed. Jill Magid is no stranger to infiltrating such structures of power and authority as they extend out from the legal apparatus, variously engaging law enforcement and judicial spaces. It comes as no surprise, then, that in her current show at Honor Fraser Gallery she draws together multiple histories, stories, and perspectives in order to re-cast the classic tale of Faust as a carefully framed contemporary tragedy. 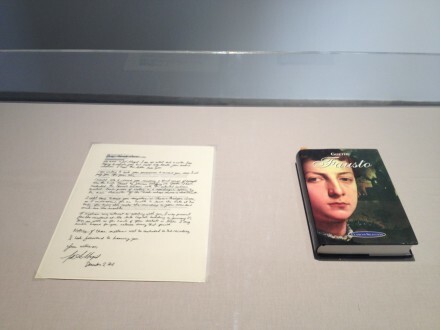 Jill Magid, Fausto and Letter to Fausto (2011). 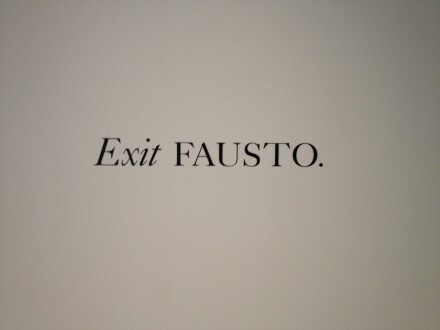 In Fausto: A Tragedy we see a dramatic text unfold in silent play. 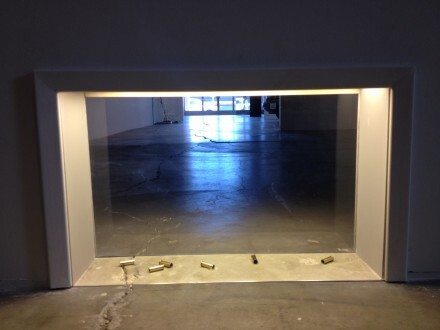 Magid’s installation makes careful use of lighting and architecture to visually frame the story of Faustas Cardenas, a young man arrested in January 2010 for firing shots into the air on the steps of the Texas State Capitol Building—from the mysterious shooting, to the trial, and his silence throughout. Viewers are moved through the space by spot lit vignettes and stage directions, which weave together the stories of Magid and Faustus, our two leading actors in this tragedy. 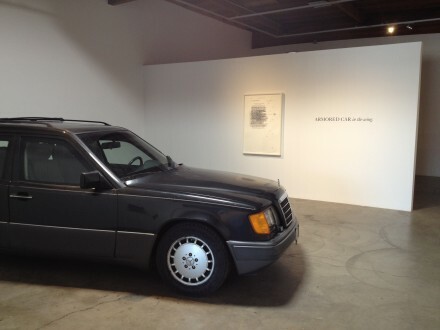 Jill Magid, Failed States installation view. There is at once: the news media coverage (including a news interview with Magid) in The Capitol Shooter: Breaking News (2011); texts referencing Faustus, Faust, and the artist’s own practice as in Fiction (2011), Exit (2011), and Letter to Fausto (2011); conceptually-oriented photographs that map the space of the Capitol Building as in Live Stream (2012) and Six Shots from the Capitol Steps (2011); and objects associated with violence, like the armored car in Failed States (2011) and the cordoned off shell casings in Six Empty Shells (2011). 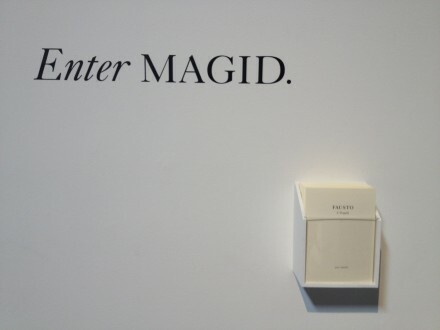 Jill Magid, Still from Live Stream (2012). 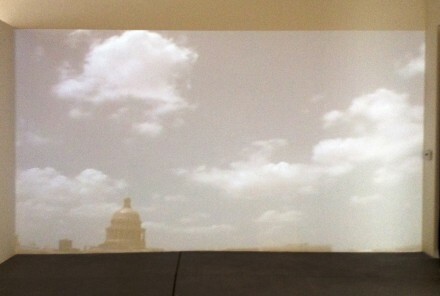 Jill Magid, Detail of Six Shots from The Capitol Steps (2011). Jill Magid, Six Empty Shells (2011). Through her engagement of the narrative at these various sites, Magid blurs the lines between the artist’s biography and international political realities, the personal and the public, and fact & fiction – leaving us to wonder where we might fit into this story and how the figure of the tragic hero might resonate today, in personal and public ways, as factual stories and fictive imaginings. In a post-9/11 world where terrorism and its counter-tactics are the topics of heated debates, how might the story of this lone gunmen, or, more to the point, the tragic story of the Faust figure play out? 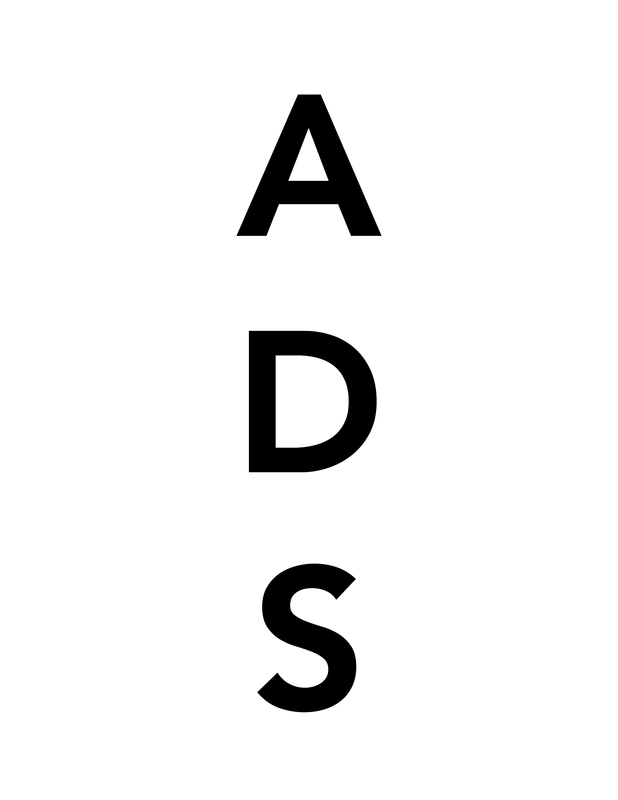 This entry was posted on Thursday, June 7th, 2012 at 10:54 am	and is filed under Art News. You can follow any responses to this entry through the RSS 2.0 feed. You can leave a response, or trackback from your own site.